A feature stair and landing gallery with elements of stainless steel, walnut and leather. 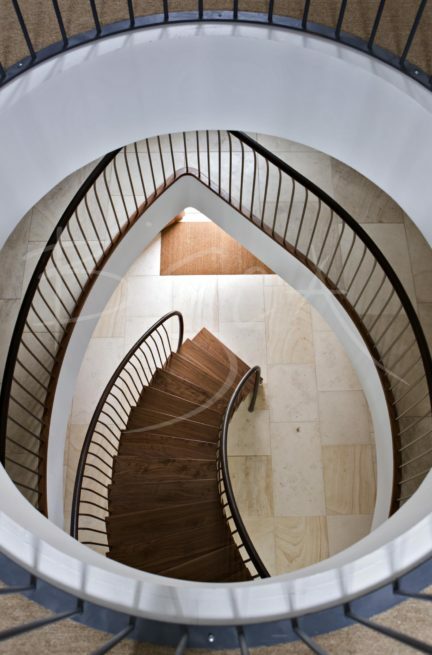 This dynamic, flowing helical stair, rises anti-clockwise from ground to first Floor. Continuous walnut treads and risers extend slightly beyond the stringers giving a zig-zag effect. This is especially striking when viewed from the side. 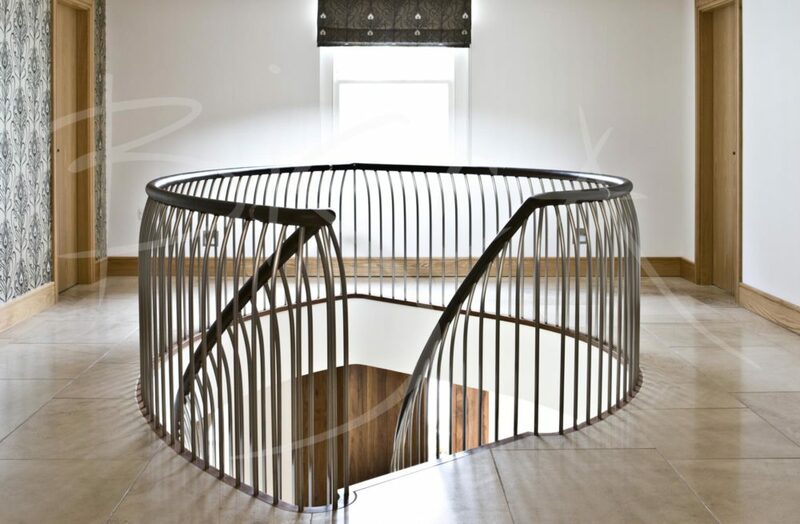 Balustrade around the stairwell and along both sides of the stair follows a consistent design of satin finished stainless steel uprights supporting a leather clad handrail. 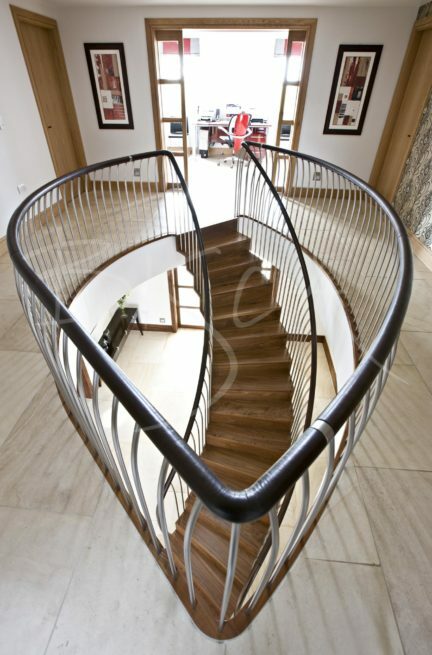 The handrail, starting from one side of the stair, around the landing and back down the opposite side of the stair, forms a complete continuous loop. 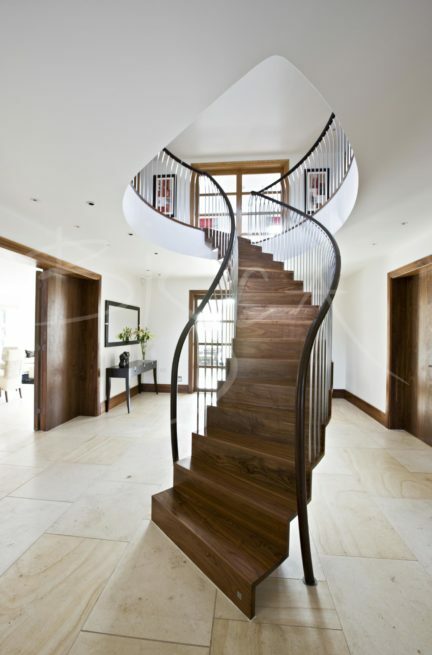 This staircase is very popular, and as a result has been featured in many editorial articles over the years. To obtain a price for a statement feature stair design, based around this project please mention reference 2005.